At Sculpteo we know that the manufacturing and distribution of products is a process that comes with great responsibility. Thus, we always make sure our products comply with the mandatory material regulations. Such regulations are technical certifications that ensure the protection of human health and of the environment. In this blog post, we will go through some of the most important technical certifications in the production industry, see what they stand for and how Sculpteo complies with them. The technical datasheets are documents that include a summary of the technical characteristics of a material or of a product. Datasheets include information related to the mechanical properties of a material and its mechanical performance under certain conditions. They serve as a way of technical communication to describe technical characteristics of an item or a product. They are also a great source of information that people consult when they need to choose or to use a product. The content of each datasheet varies according to the purpose imposed by the manufacturer that created it. In every single one of our 3D printing material pages, you will find a special technical datasheet for this material. You will also find a safety datasheet that contains additional information related to the composition of the material, potential hazards and more. The technical certifications are documents that are provided by the manufacturer of the material and ensure the protection of human health and/or of the environment. They are regulations imposed by the state where the products are manufactured and/or distributed. In order for the company to do business with this material, it has to obtain the mandatory certificates. At Sculpteo we obtain these kind of certifications and we try to share some of them with you, when this is possible. You can find detailed technical information on the dedicated material pages of each 3D printing material. There, apart from these technical certifications you can find description of the 3D material itself and information related to its technical characteristics, the so-called datasheets. REACH is a European Union regulation that entered into force on 1 June 2007, replacing the various European Directives and Regulations with a single certification. It stands for Registration, Evaluation, Authorisation and Restriction of Chemicals. In other words, REACH regulation is a certification provided by manufacturers in order to ensure the protection of human health and of the environment from the use of chemicals. In this way, the EU chemicals industry enhance their competitiveness and they try to find alternative and innovative methods for the hazard assessment of substances to reduce the number of tests on animals. Moreover, industries from other fields of activity have adopted the REACH regulation, such as companies that produce cleaning products, pigments, fabrics, furniture, electrical devices and more. As an EU company, Sculpteo’s products comply with the REACH regulation. According to this regulation, the companies have to provide detailed information about the products they produce and distribute in the EU. To comply with the regulation, the companies should present to ECHA (European Chemicals Agency) how the substances of the materials can be safely used, and they must communicate the risk management measures to the users. If the company meets all the legal requirements, it gets the REACH certification. Otherwise, authorities restrict the use of the hazardous substances and the company has to replace them with less harmful ones. For example, you can find the REACH technical certification on our HP Multijet Fusion PA12 material page. Moreover, you can find the REACH technical certification on our plastic materials: Nylon PA 12, Nylon PA11, Nylon 3200 Glass-filled and Alumide. RoHS stands for Restriction of Hazardous Substances. This regulation restricts the use of specific hazardous materials found in electrical and electronic products (such as lead, mercury, cadmium, hexavalent chromium, polybrominated biphenyls, polybrominated diphenyl ethers and four different phthalates). According to RoHS, all applicable products in the EU market after July 1, 2006 must pass RoHS compliance. At Sculpteo, we make sure that the 3D raw materials we use comply with the RoHS regulation so as to avoid using hazardous materials that are harmful for the environment and dangerous in terms of occupational exposure during manufacturing and recycling. Thanks to the RoHS certificate, our customers can be sure that their 3D printed parts respect the specified maximum levels for the restricted substances. For example, you can find the RoHS technical certification on our Multijet Fusion PA12 material page. Another technical specification is the California Proposition 65 (you can find it also as Prop 65). This regulation affects all products sold or distributed in California, including textiles, toys, child toys, and electrical/electronic products. It ensures that companies mention and warn their customers on the toxic properties of their products and on potential hazardous chemicals that are present in a product or its packaging, if these may cause cancer or reproductive toxicity. 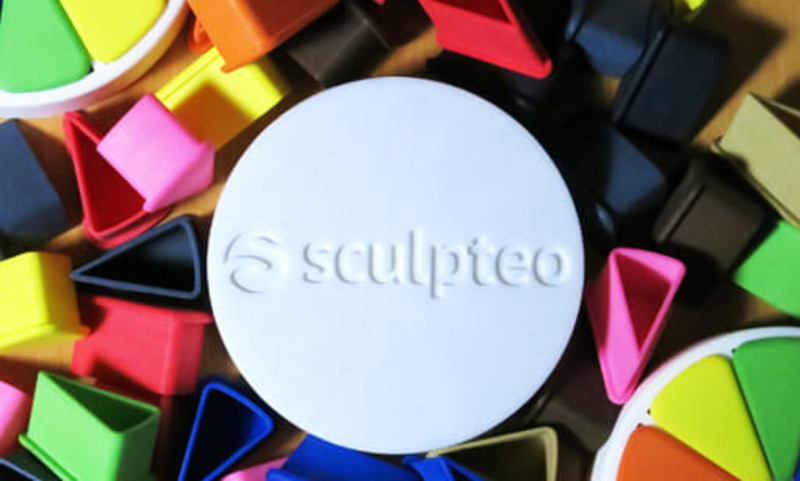 Sculpteo has a factory in San Francisco, in California, where we produce and sell our products. Consequently, Sculpteo’s commercial activities have to be compatible with the California 65 regulation and we respect the product limits of the chemicals imposed by this regulation. PAHs stands for Polycyclic Aromatic Hydrocarbons (PAHs), which are a group of chemical compounds that are known to contain harmful substances. These substances may be found in black pigments, polymers and plastics. As some of the PAHs may be carcinogenic, prolonged exposure to PAHs should be avoided, otherwise it can pose health hazards to the human body. The testing of PAHs is a mandatory requirement for production and distribution of materials. Sculpteo complies with the certifications needed, and as a matter of fact, you can check out the PAHs certificate from HP for our HP Multi Jet Fusion material. Our Nylon PA 12 parts produced with the SLS technology are food safe. As you can see from the dedicated food assessment certificate you can find on the Nylon PA 12 page, our plastic material is compatible with the EU Plastics Directive 2002/72/EC for the use of all types of foods except high alcoholic food stuffs at contact conditions up to 24 h at 20°C. Biocompatibility stands for the ability to be in contact with a living tissue or a living system without causing any side-effects. In other words, products that are biocompatible are not harmful, toxic, injurious and do not cause any immunological rejection to the living system (ex. skin). Biocompatible materials are adequate to be in contact with the human body and interact with it. 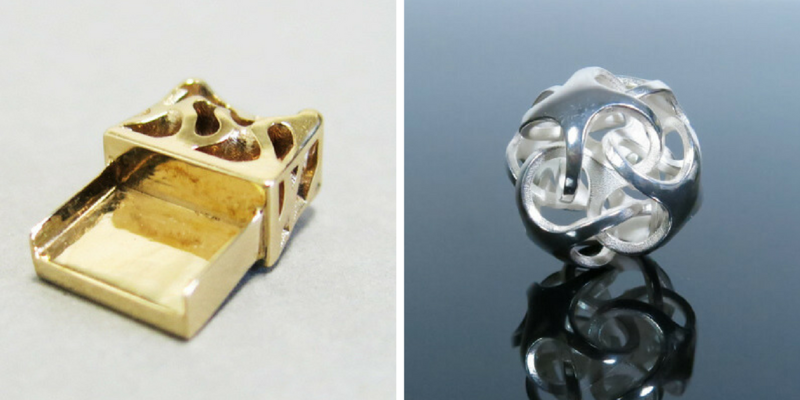 Such 3D printed products can be glass frames, jewelry, medical devices or prostheses parts. 3D printed glass frames produced with SLS or HP Multi Jet Fusion 3D printing technology) are biocompatible. Moreover, you can finish them with our special “Color Touch” finish to make them skin-safe. 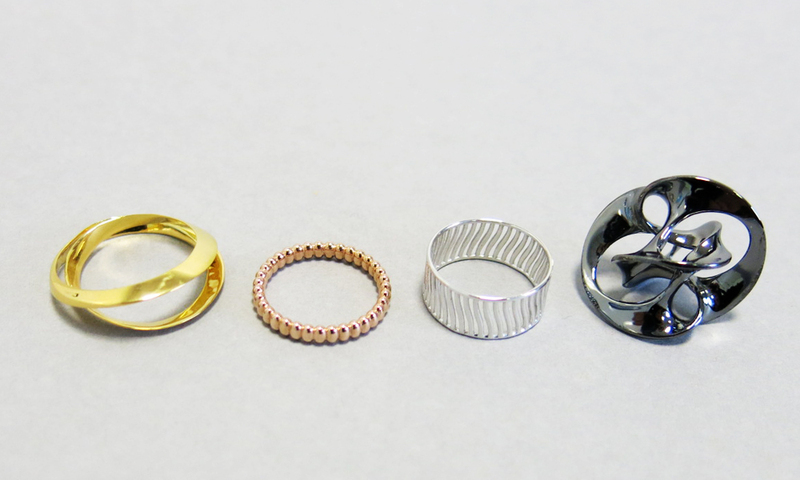 3D printed jewelry made of our Silver, Brass or Bronze 3D printing material. Moreover, their metal plating options can stand extended skin contact and will cause no harm to the skin in doing so. 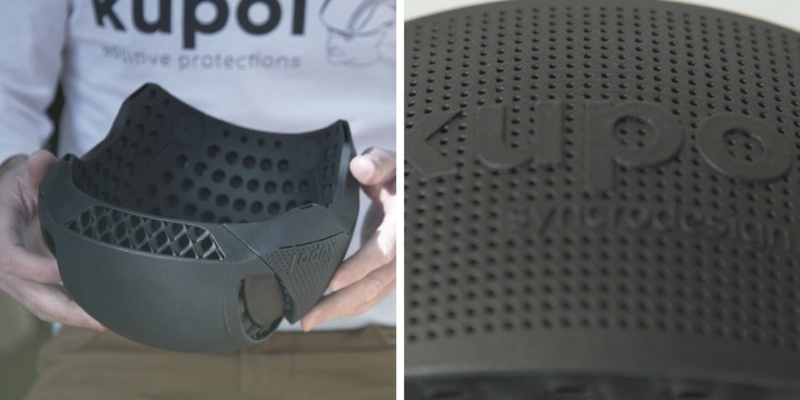 3D printed bike helmet produced with HP Multi Jet Fusion Technology. Indeed, you can check out the Biocompatibility certificate by HP. You can find detailed description of each material, its regulations and its technical certifications on the dedicated 3D printing material pages. And don’t forget to upload your 3D file on our online 3D printing service!